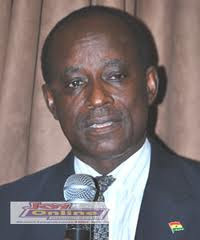 Chairman of the National Media Commission (NMC), Ambassador Kabral Blay Amihere has cautioned that the public will soon turn against the media if it does not deal with unethical journalism and corruption as well take steps to mend their ways. “Ghana’s democracy is quiet better because we have a vibrant press but the actions of journalists can bring down this nation. We have a false belief that the media is free but I say that by our transgressions it will give the authorities opportunity to clamp down on the media,” he explained. Ambassador Kabral was speaking at a public lecture organized by the Ghana Broadcasting Corporation (GBC) to mark 75 years of broadcasting in the country. He also supported the call for the Ghana Journalists Association (GJA) to help weed out charlatans from the profession but said it should be handled with care so that it would not negate the fundamental rights of every Ghanaian to free speech and freedom of expression. Ambassador Kabral commended the present and past staff of GBC for sacrificing to get the station on track. He promised the government’s readiness to support any effort that would promote freedom of the media and the practitioners and called on the media to also observe high ethical and professional standards.